The prospect of tantrums during mealtime is a very common dreadful though that mother of toddlers generally has. Don’t get tense when you come face to face with your toddler’s fussy eating. It’s a natural phase of their growing process & the situation will turn much better as time goes. 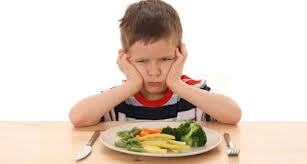 Your restlessness about your toddler’s meal can make the situation worse. Let them eat as they want to eat. Pushing them for eating more can turn the situation even worse. You could experience a day when your baby doesn’t want to eat even his/her favorite dishes, take it as a natural process of their growing up years. Toddlers can experience a situation called neophobia, where they don’t like to experience new food. At around the age of 2 they could encounter such fear of food. However, this phase will pass quickly. To introduce new food in front of your toddlers you need to put your step carefully. Try to have a meal with your toddler. Though it could be a little hard if both of you are working, however, try to manage some family meal time whenever possible. During this family meal have the same food that your toddler is having. Don’t prepare any other dishes for you & your partner. Allow your children to have heir meals with other kids, who are enjoying their food without any complain. Invite them at your place. Having friends’ company could encourage them to eat good. Make sure you are keeping distractions (like, toys, games, TV etc) away during meal time. Try to make the mealtime an enjoyable time. Allow your kids to get messy with their foods. Even though you do not like the taste of the food, never make any negative comments about that food. It could make them reluctant to taste such dishes. Your positive comments could encourage them to try the new food. Always remember that toddlers usually respond more to your praises. They need your attention. So if you only give attention to them, when they are not eating well, then they try to repeat the same thing again & again to get your attention. Without complaining much just take away their unfinished dish. Make sure you are keeping your toddler’s interest alive. After the experimental course try to provide them some sweets. It will allow them to taste different foods in the same meal. Make sure you are giving them small portions, so that they will not feel full & have an appetite for dessert. Take your kids for food shopping, let them pick their choice. By involving them in food shopping or the food making process, you can nurture a positive attitude towards foods. Allow them to touch the food. It will encourage them to taste it. Make a strict routine for 3 meals along with 2/3 snacks. As time goes by they will get used to this routine & get curious to know what is waiting for them in their next meal. If your kid is really, really hungry or very, very tired , then he / she loses the will to have food.Before their nap time , you can provide them with some drink or some small snacks. Make sure that you are saving the proper meals till he/she wakes up. Try to limit their meal time to approximately 30-40 minutes. Make sure you are providing them nutritious food. While they are having their meal, don’t push them to eat more. It will not give you a very good outcome.